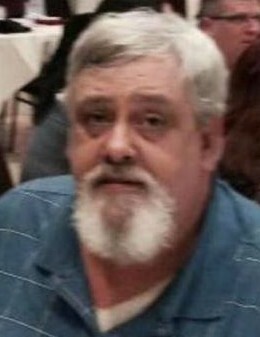 Terrance L. “Terry” Wycoff, 62, of East Liverpool, passed away suddenly at his home following a brief illness on Thursday, November 22, 2018. Born November 16, 1956, in East Liverpool, a son of the late John and Mary Strosnider Wycoff. Terry was also preceded in death by his brother, Charles Wycoff. He was a 1974 graduate from Oak Glen High School. Terry retired from the Pittsburgh International Airport, where he worked as a mechanic. He shared his talent with his son and enjoyed restoring antique cars. He was an avid Pittsburgh Steeler and NASCAR racing fan. He will be deeply missed by his loving wife of 42 years, Lynn Fulmer Wycoff; children, Christopher L. Wycoff and his wife Wendy of Lisbon; Darcy Edgell and her husband David of Wellsville and Amy Wycoff and her companion James Stevens of Mentor; sisters, Patricia Mikita of Columbus and Florence “Jean” Maxwell and her husband Jack of East Liverpool and three grandchildren, Kaylee and Brandon Edgell and Chase Wycoff; and several nieces and nephews. A memorial service will be held Sunday, November 25, 2018, at The Arner Funeral Chapel, at 1:00 PM. Friends may visit with the family one hour prior to the service.